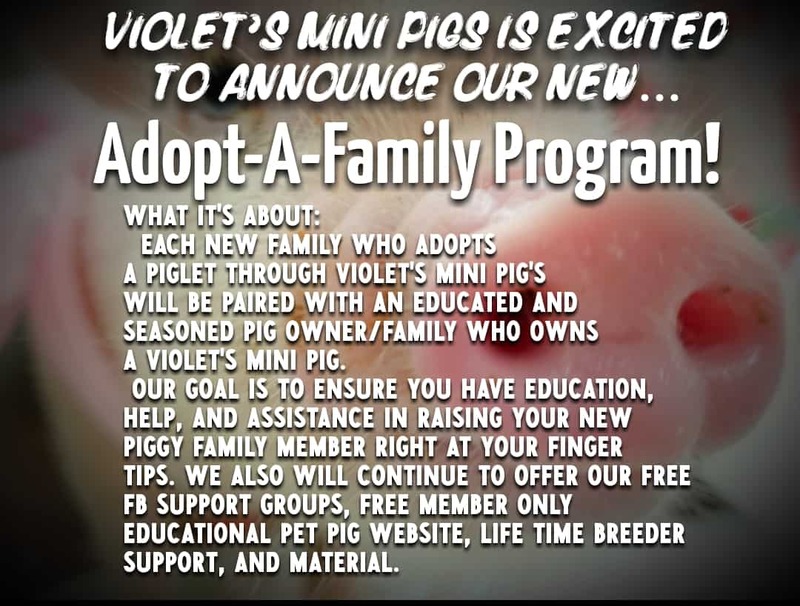 *Each new family who adopts a piglet through Violet’s Mini Pig’s will be paired with an educated and seasoned pig owner who has adopted a pig through Violet’s Mini Pigs. 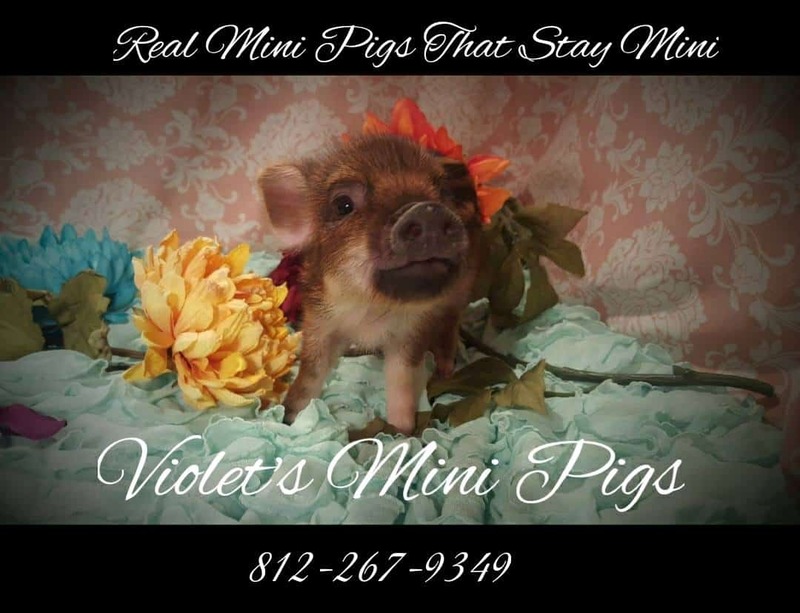 Our goal is to ensure you have education, help, and assistance in raising your new piggy family member right at your finger tips. We also will continue to offer our free Facebook Support Groups, free member only educational pet pig owner website, lifetime breeder support, and printed material upon adoption. This mentoring/sponsorship program is not to replace the advice of a licensed veterinarian professional. No nutritional advice is to be given. If a child is adopting the pig, the sponsor is required to receive permission through the adult prior to contact and vice versa.